Yoga is a great addition to any fitness routine. Unlike your high-intensity interval training (HIIT) workouts or weight-lifting sessions, yoga is often slow, and it focuses more on being mindful and stretching out the body—two things that come with huge benefits. It’s totally possible, though, to incorporate strength training into a yoga workout too. The combo of an intense strength-training workout and slow, mindful yoga is referred to as “power yoga.” For a long time, I always felt like something was missing from the yoga classes I took. Yes, I know there is value in taking it slow and using a restorative yoga class to calm your mind and body. But I’ve always just felt like I needed something more to be able to leave class feeling accomplished. When I discovered this hybrid type of yoga, I was thrilled. While bringing weights into the yoga studio is certainly not for everyone, it’s a great fit for me, and my guess is that there are plenty of other people out there who would agree. Try this workout for a warm up or just to have a good stretch and see how you feel after! Stay connected to your breath, breathing deeply in and out through the nose. Slightly pull your navel to spine (about 20-30% engaged in abs). 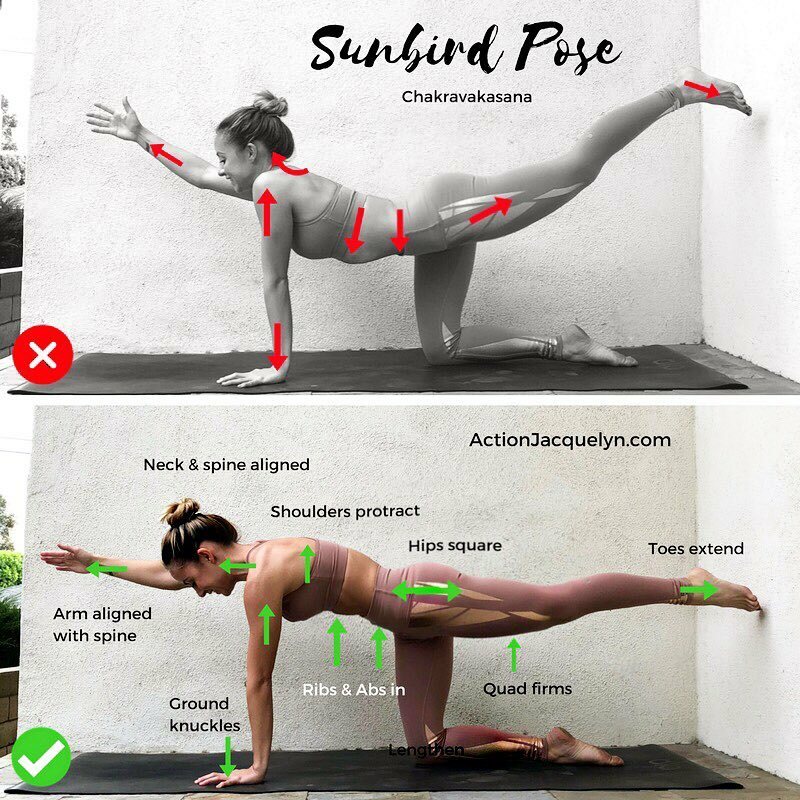 Although it may look like you’re shortening the spine, you’re actually lengthening the spine, so imagine your body from your tailbone to the crown of your head elongating as you’re stretching. You can also place a blanket under your knees. Hold your pose of choice anywhere from 30 seconds – 5 minutes depending on your level. This stretches your posterior chain, all the way from your neck to your toes!! It also increases circulation, suppleness and vitality! It also has a very calming and restorative effect on the sympathetic nervous system, so it’s a great pose before heading into savasana . There are various ways to position the arms, like pressing palms flat into the floor, and also clasping your hands. I’m sure there are even more variations, so this is just one example of how to support the pose. It’s important to create length in the neck and keep your gaze forward so that you don’t strain your neck. It’s really important to energise this pose by engaging the inner thighs and magnetise them towards this mid-line. This helps to support your joints and keeps the stretch safe. It also helps you to increase your flexibility. You also need to pull the Abs up and in to continue the line of energy up the spine. Counter this energy with relaxed shoulders. The dramatisation is showing when a block is needed! There is no upward energy, and you can tell by looking at the slack core and lifted shoulders. Always use a block to help bring the floor up to you. Root to rise! Root through the big toes and fingertips to elevate the rest of the body. Outer hips slightly hug in to lift (be careful not to grip). Hips lift high up to sky. Sternum and chest lift and rise. Shoulders draw down to release tension in neck. There is no rooting, so there is no rising! Big toes are not grounded, and weight is in the wrists (not fingertips). Tension is held in neck. No lift happening in hips or chest. Ground all corners of your feet into the floor, especially the big toe and heels. The most mind blowing concept here is that the heels actually press into the floor and towards hips, instead of away from hips. This engages the hamstrings and creates more space throughout the spine. Widen across chest and press shoulders down into floor. When the shoulders are open and pressed into the floor, the heart and sternum is lifted from the support of the upper back and shoulders. Lengthen the neck by keeping shoulders depressed, and keep gaze forward. Outer hips (i.e. glutes) engage but don’t grip. Feet are parallel to one another. The lift of the bridge is happening from the low back, and the goal is to bend the entire spine and not just depend on the low back. The feet are not grounded and the knees are externally rotating, which puts a lot of pressure on the SI and low back. Keep your head forward and lengthen neck. Shoulders over wrists, hips over knees. Overhead arm is reaching forward in line with the spine, and also the extended arm and shoulder is externally rotated. Lifted leg’s quad is firm and energised to strengthen leg and reach through the toes. Lifted leg is in line with hip and spine, and can raise higher if you don’t compensate through the belly. Pose is held together with the core: ribs knit together, and lower belly pulls up and in. Shoulders slightly protract and seratus is engaged and supporting Pose. Weight is in the knuckles of the fingers, and back shin. The body is like a hammock – no support in the core, so it throws off the entire alignment. Weight is heavy in the wrists, because the other muscles are not engaged, working or lifting. Arms and legs are too high.